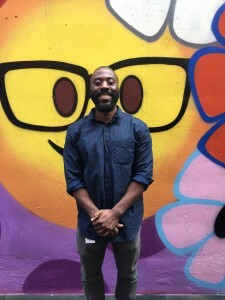 As the new nurse on staff at Barrier Free Living Apartments, Dwayne Jordan brings expertise, a keen focus on wellness, and even some experience as a power lifter to the supportive housing complex. BFL: What drew you to apply to Barrier Free Living? Dwayne: I grew up in one of the roughest neighborhoods in Brooklyn (Brownsville) during the 90s. I first-hand saw and experienced what many residents of BFL have gone through. I made it a determination of mine at an early age that I would devote my life to helping to provide a way out or at least be a sanctuary for those experiencing hardships. When I read the success stories and saw the profiles of some of the staff on the BFL website, I knew I had found an organization where my talents and passion could really be put to use and appreciated. BFL: Tell us a little bit about what you do at BFL Apartments in your role? Dwayne: As the nurse my primary concern is the health and wellness of the tenants. Whether is be through education on nutrition and healthy lifestyles, medication management, or helping to gain access to medical services that would be otherwise hard to navigate alone. BFL: What challenges do you foresee? Dwayne: The number one challenge is gaining the trust of the residents. One tenant flat out told me, “You guys are like a revolving door”. I intend to be here for the foreseeable future, but getting the tenants to believe that will be another thing! BFL: What drew you to nursing to begin with? What inspires you in this field? Dwayne: I actually wanted to be a social worker when I was younger but my mother told me they didn’t make enough money (chuckles). Nursing was the next best thing! I think I stuck with nursing because I still get to function like a social worker with the only difference being that I can also provide medical care along with the emotional support. The ability to be an outlet for someone to talk to about anything concerning them while being able to also provide immediate relief in the form of medical care gives me life! BFL: Are you from New York or if not where did you grow up? Dwayne: I am from a West Indian heritage but grew up in Brooklyn most of my life. I also lived in Florida for a short period of time. BFL: What do you like to do in your spare time? Dwayne: In my spare time I enjoy playing instruments for different groups and churches I’m a part of, training for powerlifting competitions, working on my website/blog, and spending quality time with loved ones.